SINGAPORE, 4 May 2018 – Luck is everywhere at Changi Airport this season, with the latest installment of the ‘Be a Changi Millionaire’ anchor shopping promotion. Passengers and airport visitors may soon be spotting lucky rainbows, four-leaf clovers, prosperous “eighty-eight” butterflies and other ‘lucky charms’ around the terminals. These symbols of good luck will usher in six months of thrill and excitement, featuring Singapore’s largest prize in any retail promotion. 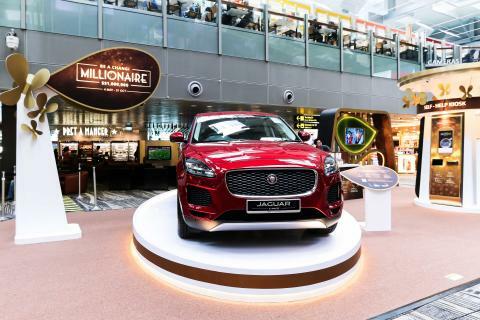 With official car partner Jaguar and official mobile payment partner Alipay, Changi Airport’s annual shopping promotion ‘Be a Changi Millionaire’ is back to reward shoppers with a host of attractive prizes. From 4 May, every qualifying spend will give shoppers a shot at winning either of the two grand prizes - S$1 million cash or the new Jaguar E-PACE. 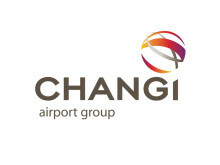 Changi Rewards Platinum card members, those who make a purchase on iShopChangi – Changi Airport’s online shopping portal (www.iShopChangi.com) – or use Alipay to make their payment will see their chances of winning instantly doubled. To top it off, every qualifying spend entitles the shopper a chance to win instant prizes in the form of shopping vouchers from iShopChangi or Changi Airport’s retail outlets. Simply ‘catch a lucky charm’ on the event microsite (www.iShopChangi.com/millionaire) to reveal the prize. Non-shoppers can also participate in a free-to-play game on the event microsite to snag a prize from iShopChangi. To kick-off the ninth installment of ‘Be a Changi Millionaire’, a brand new campaign video was launched online. A rare sight of four rainbows converging on the airport boulevard and flowing into the terminals, like a springtide of luck streaming into Changi Airport, leads the viewer in. The pot of gold at the end of the rainbows unveils itself as the S$1,000,000 grand prize and the new Jaguar E-PACE luxury compact performance SUV. “Each year, we introduce fresh elements to the ‘Be a Changi Millionaire’ retail promotion and make dining and shopping here a positively surprising and extra rewarding experience for all passengers and visitors. Working together with our partners, retailers and brands, this flagship event will continue to reinforce Changi Airport as an exciting shopping destination,” said Ms Lim Peck Hoon, Executive Vice President, Commercial, Changi Airport Group. Shoppers only need to spend a minimum of S$50 in a single receipt between 4 May and 31 October 2018 to qualify for the lucky draw. One lucky finalist will be picked each month to go into the Grand Draw, bringing the shopper one step closer to becoming a Changi Millionaire.In addition, a seventh finalist will be picked from qualifying shoppers on iShopChangi and an eighth finalist will be drawn from the Platinum members of the Changi Rewards loyalty programme. Shoppers who make purchases of more than S$500 in accumulated spend in a single day will get a chance to win the new Jaguar E-PACE. Six monthly finalists will be selected to enter the draw for a chance to drive away the luxury compact SUV that combines good looks, practicality and high performance. The campaign attracted over 1.5 million entries from participants globally last year. Since its launch, eight Changi Airport shoppers have realised their million-dollar dreams – including Singaporeans Ivan Rantung (2010) and Peh Hock Peng (2012), Australian Jessica Down (2011), Indonesians Irvung Tio (2013), Ade Iskandar (2016) and Oddie Rehatta (2017), Irish Linda Tobin (2015) and Japanese Seiichiro Oiyama (2014). In the 2017 edition, Zhang Xuchao from China became the first winner of a brand-new luxury sedan. A total of 14 finalists will battle it out for the two big-ticket prizes in the final face-off of the popular shopping campaign, in front of a live audience come early 2019. For more information, please visit www.iShopChangi.com/millionaire.